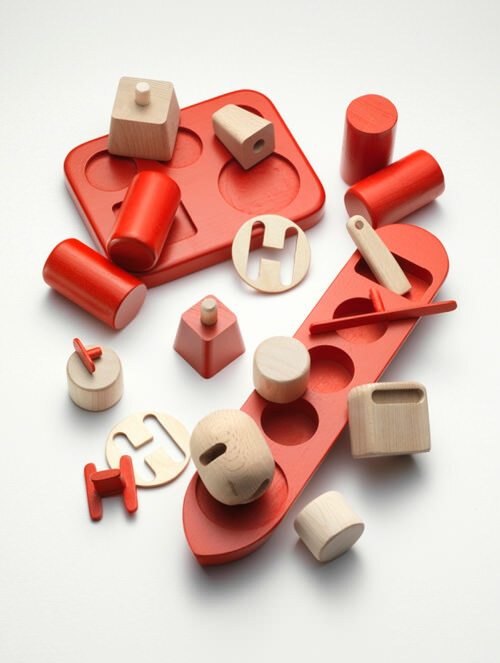 These simple & modern wooden toys were created by the Norwegian designers at Permafrost for the New Nordic exhibition at the Louisiana Museum of Modern Art (actually in Denmark, not the U.S. state of Louisiana). 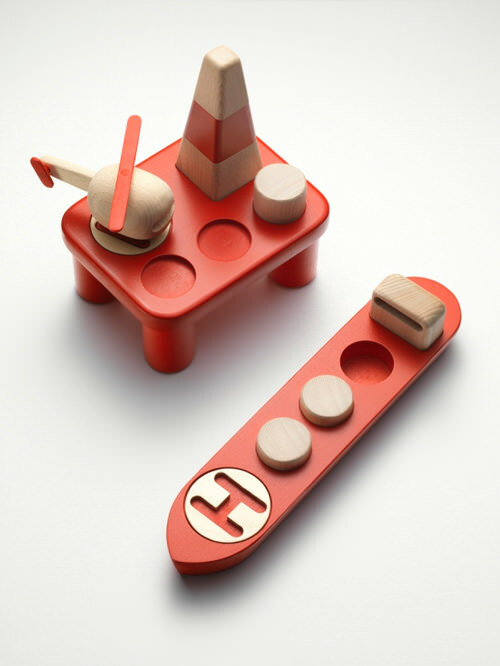 The toys depict modern day industrial icons while at the same time honoring traditional Nordic craftsmanship. Love! I love toys and wooden toys—oh yeah! How fun that there are so many ways to mix and match them! 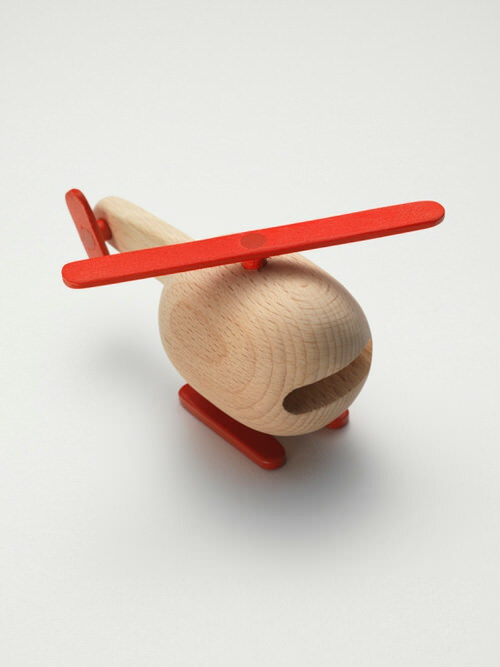 It’s wonderful to find Scandinavian wood toys… in the US! I’m American but live in Sweden. I was expecting to find oodles of Swedish made wood toys when our children arrived and was amazed at the wood toy famine here! The handmade tradition that Swedes had for beautiful wooden toys – from sleds to horses is really one that I wish would pick up again. Thank you, Norway for doing so! and you for finding it! 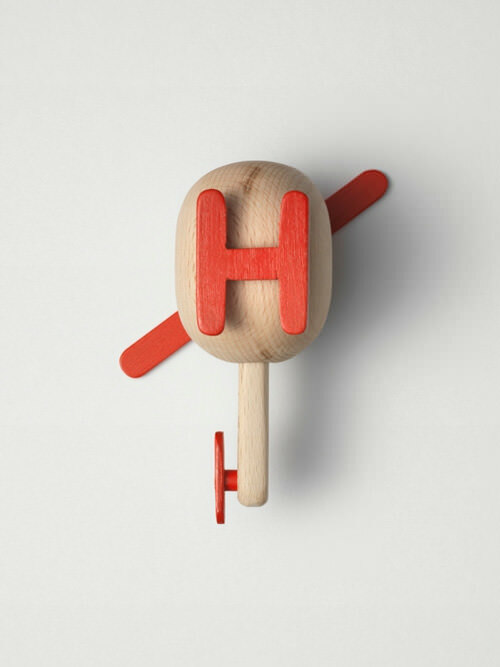 Nice, simple and awesome wooden toys. I really like wooden toys.